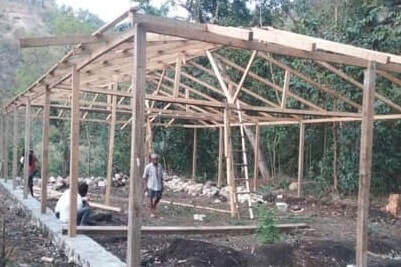 CHM is pleased to encourage this valuable GO-HAITI building project. Read more to learn how you can become involved. We appreciate every financial gift. 100% of your donation is used exclusively to the ministry in Haiti. Because of your gifts, our financial goals for this construction phase have been met. Many friends, neighbours and businesses came together to make the guest house project a success. Today, the guest house is a beautiful, fully functional facility that regularly hosts individuals and teams that come to Haiti to work in the orphanage and surrounding area. Check out our page of business sponsors. Our goal and mission is to care for and support orphaned and abandoned children in Haiti with food, medical treatment, housing, education and ultimately, self sufficiency to create positive changes for families and those struggling to survive. We support the Generations of Hope (GOH) Orphanage and Ministries in Port-au-Prince, Haiti. © COPYRIGHT chmcanada.com 2015. ALL RIGHTS RESERVED.